This is the summer we said good bye to The Hills. The departure of the popular reality-esque television show set in the hippest locations of Hollywood has left many fans distraught. Personally, I never watched the show… that is, until literally the last week it was on when one sleepless night I stumbled across some sort of marathon running earlier episodes back-to-back without end. I was instantly hooked. It was the most ridiculous thing I’d ever seen on television and it hooked me like a bad cocaine habit. I could not tear myself away from the glittering parade of freshly quaffed twenty-somethings streaming across the screen and talking endlessly about nothing of any consequence. Coming in on things at the very end as I did, The Hills seemed to me like a sort of time capsule, perfectly capturing the mood of the great economic credit boom from which we now find ourselves emerging. Images of the “expensive life” flashed in succession, with every meal eaten (more often left behind) at the trendiest of restaurants, every day a new adventure in fashion and clubbing, every personal exchange the promise of new best-friendship-forever or frivolous whirlwind romance. The show got me thinking about the wild carefree mood of the roaring 1920’s, before the stock market exploded and melted down into the worst economic depression our country has ever known. My mother once told me the secret to successful party going is to leave before it’s over. That way you leave them wanting more. Being far less suave than she and suffering from perennial issues with lateness, I’ve more often found myself the last guest lingering, and worrying the next day if I’d overstayed my welcome. The Hills left the party at just the perfect time. Of course we’d expect nothing less from such a stylish phenom. Its time was coming to an end and it elusively slipped out the door back to it’s pumkin coach in the valet lot before the first stroke of midnight, never to be recaptured and always to be recalled with a tear. Now as we wake in the wake of its splendid dream, we open our eyes to a Hollywood that seems somehow changed. It has lost its luster, I’m afraid. The party is over and the place has been left a bit of a mess. Hollywood has long seen itself as recession proof. 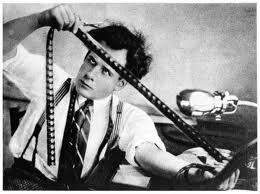 Historically, the business of film making profited during hard economic times. Growth of the fledgling movie industry coincided with the onset of the Great Depression and business boomed during the early 1930’s despite the severe unemployment and poverty sweeping the nation. The explanation of this has always been that when things get hard, people need the relief of a bit of inexpensive escapism more than ever and a night at the movies has always been more affordable than many other forms of entertainment. Now days, even softer on the budget are DVDs and services like Netflix and I Tunes that provide the movie viewing experience in the comfort of one’s own home. For these reasons industry insiders have felt relatively secure that their jobs would remain stable through any economic hardship. However, things may not be playing out quite as expected in the current economic downturn. Work in the film business is growing scarcer under the deflationary pressure of the broader downturn. One problem is there are fewer investors to fund film making these days. Foreign money that gravitated toward the glamor of the industry in the past is no longer flowing in. Investment from Wall Street has dried up. The result is that there are fewer movies being made and so fewer jobs are available. Production is down by as much as 25%. People who are getting jobs are making less than they have in the past. Even big name star actors are taking sizable cuts in pay. Smaller specialty divisions have been closed down or absorbed into larger studios. Distributors have been equally hard hit, so it has become extremely difficult to get any film up and running for business. Unfortunately, decent movies seem to be growing scarce as well. One of the worst tolls the recession has taken on the industry has been that the creativity of film making has been tremendously stifled. Studios are willing to finance only what they see as a sure bet at the box office. This means we are seeing a lot of tired sequel making or just plain derivative conceptual development in today’s cinema, which then fails to attract serious talent. The trend is likely to end badly, as it produces films that no one is excited to see, let alone pay hard earned and increasingly rare cash for, and this perpetuates a downward economic cycle. Fewer good films produce fewer people in the audience, which produces less money for the next film, which produces tighter restraint on creativity, which produces less access to talent, which produces fewer good films… and so the downward spiral goes. On another front, new technology has expanded what is available to today’s public as entertainment. We have a fairly new and very exciting invention called the internet at our disposal. The internet allows us to watch a seemingly infinite array of movies, television and all sorts of original media at a very low cost or even for free. Sites like YouTube and Hulu offer a huge variety of viewing material without directly charging for it. Adding to the economic stress is the fact that the internet generates substantially lower revenue than established business models like 30-second TV commercials and home video sales, which supported the costly economics of TV shows and movies until recently. When it comes down to it, we really cannot compare today’s movie business with that of the 1930’s. Film was a new and novel experience back then. Just to see pictures moving about on a screen was worth the price of admission, which incidentally was something like a dime. Today’s viewers are much more sophisticated and demanding. They care about the subtlety of the acting, the believability of the storytelling and the grandeur of the special effects. It is not exciting enough to just see images of people moving about. Also, the cost of production was relatively minimal in the early days of cinema. Crews were smaller and the technology was simpler. There wasn’t the same involved system in place to produce a film that there is now, and the members of the crew were not making the kinds of exorbitant salaries many of today’s Hollywood employees have come to expect. The mythology of Hollywood’s immunity to recession may actually be built on a false premise to start with. The fact is, although cinema attendance increased during five of the last seven recessions, closer examination of movie box office receipts during the Great Depression tells a different story. Attendance exploded in 1929 and 1930, after the advent of “talkies,” but as the novelty wore off ticket sales plunged sharply in subsequent years and did not recover until 1940. 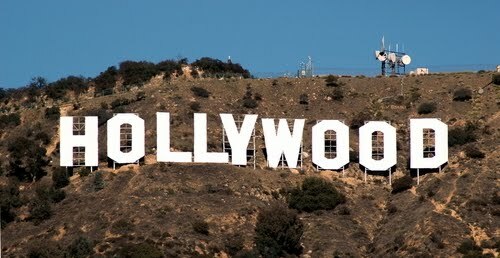 It appears that Hollywood may not be as recession proof as it has liked to think itself. Deflationary pressures are squeezing the industry as investment wanes and the availability of credit shrinks. Workers in Hollywood are seeing projects cut back, wages furloughed and fewer opportunities for employment just as they are everywhere else. This is in addition to other pressures that had already weakened the film industry’s resilience in recent years, like various labor battles and outsourcing to less expensive locations for production. The real wild card in the outlook for Hollywood’s economic future is the length and depth of the downturn. No one knows how bad things will get. Me, I’m just waiting for that ticket price to drop a couple of bucks as deflation trickles down, and then I’m off to the movies to forget about all this depressing stuff. In the meantime I think I’m gonna hit up Hulu and head for The Hills. Hope that we get our tinsel back before we start shooting silent movies again (sound is expensive). New website is also well done.